Please read the Final details carefully. Email to David.Bowman@ipfdigital.com to check availability. Update: as at 14 Feb we have only 5-10 maps left on each course for EOD. Email now to reserve yours! All competitors must carry or wear: a whistle, sparelight and a hooded waterproof jacket. Anyone reporting to the start without this minimum kit will not be allowed to start. The event centre is St Margaret's Church Hall on Queen's Road LS29 9QL. Absolutely no muddy footwear or dirty socks in the hall please. There is ample roadside parking available on Queen's Road. 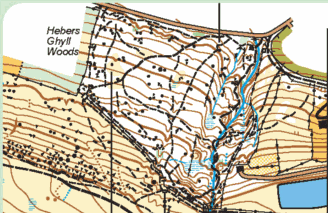 To guarantee a map, enter by email to David.Bowman@ipfdigital.com by Sunday 10th February. You can pay on the day. Seniors £10: £8 for BO members. Moorland escarpment with a wealth of rock and contour detail, and an extensive path network. There are also areas of steep sided woodland. rocky underfoot, can be slippery if wet or icy, and contain gaps/small crevasses hidden by vegetation. Please take special care when passing close to these areas and do not attempt to climb any crag marked as impassable. 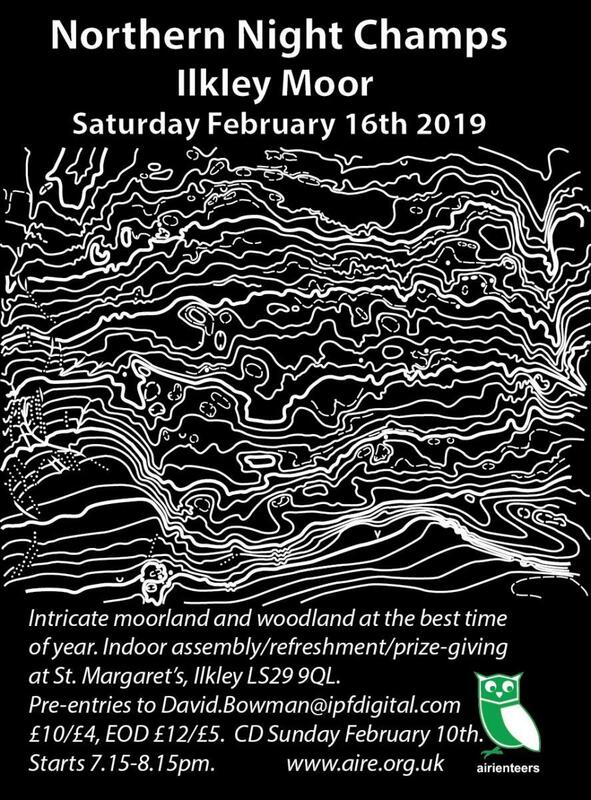 This is a winter night race on exposed open moorland. Additional items such as hat, gloves and extra warm layer may be prudent. Note that conditions at the start may feel far nicer than out on the moor.